1. Which of the following could be an analogy example for MapReduce? Explanation: People going out for donation collection can collect money in parallel like map jobs and finally aggregate the collection in one place like in reduce phase. 2. 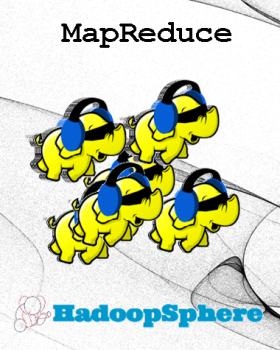 What is the sequence of a MapReduce Job? 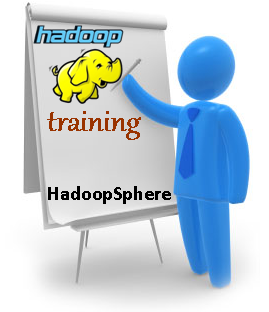 Explanation: For MapReduce, first the input data needs to be split on multiple nodes for parallel processing. So 'b' is the correct answer. 3. Where is the Mapper Output (intermediate kay-value data) stored ? Explanation: The mapper output (intermediate data) is stored on the Local file system and not on HDFS of each individual mapper nodes. Hadoop administrator can typically configure this location. 4. What is speculative execution? Explanation: In large clusters, some machines may not be performaing well. To avoid this, speculative execution can run multiple copies of same map or reduce task on different slave nodes. The results from first node to finish are used.